For the third year in a row, I had visitors coming early in September – and for the third year in a row they were incredibly lucky with the weather! Two years ago, Gert-Jan and Célia were here, and last year my brother and his girlfriend came for a visit. 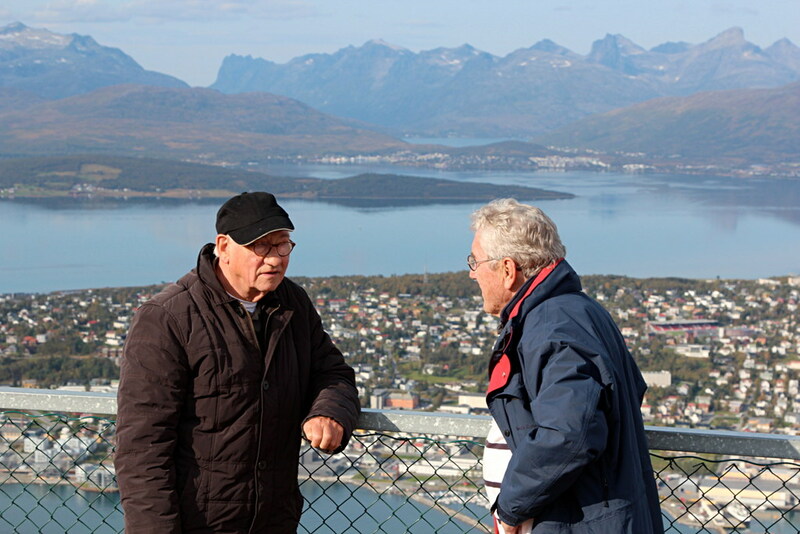 Last week, my uncle Joop came with his friend Pieter. We had sunny and very mild (up to 18 degrees Celsius!) weather almost every day. 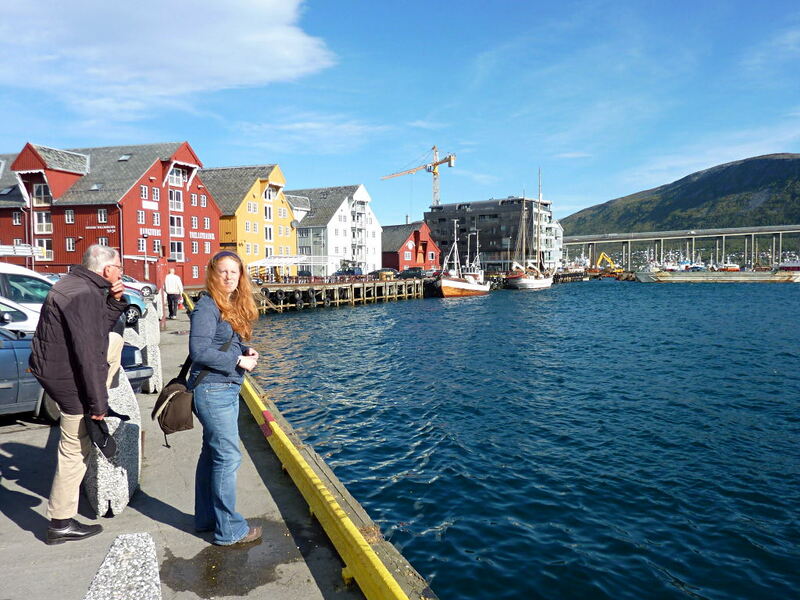 The next day we drove to Sommarøy. 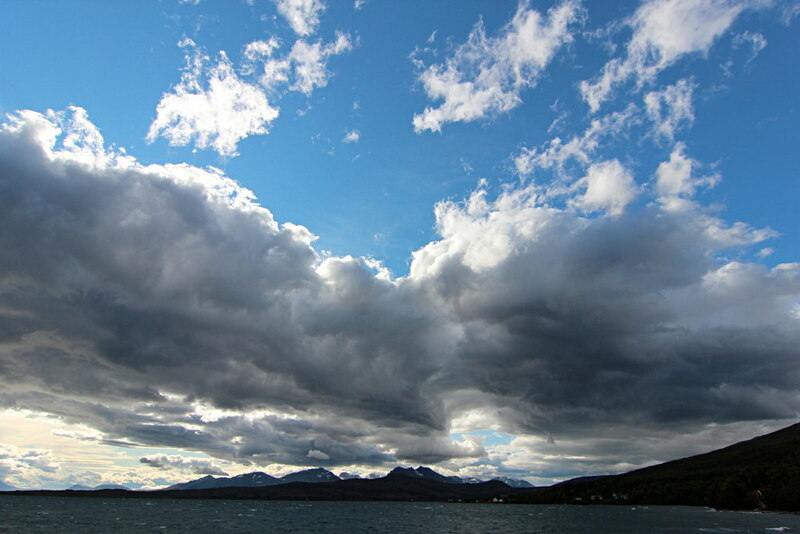 It was still very windy in Tromsø, and we hardly wanted to get out of the car when we stopped at Håkøya. But at Sommarøy there was hardly any wind at all, and the reflections in the water were beautiful. We had lunch at the cafe there, then walked around a bit to look at some big fishing boats. Unfortunately it started to rain quite heavily, so we drove back to Tromsø. 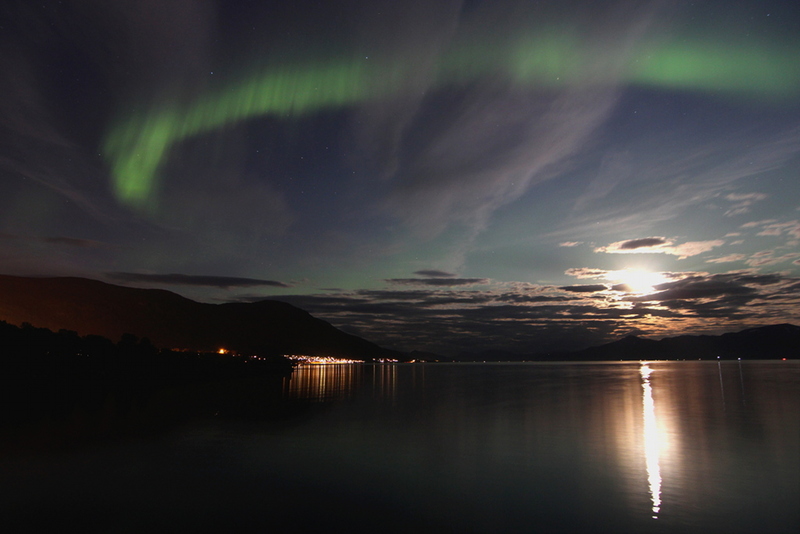 Friday was their last day in Tromsø, as they were taking the Hurtigruten south to Trondheim that evening. It was another sunny day, so we decided to take the cable car up and walk around the top for a bit. Beautiful views! Of course I took another panorama 😉 I have many of these now, but I still think it looks different every time! 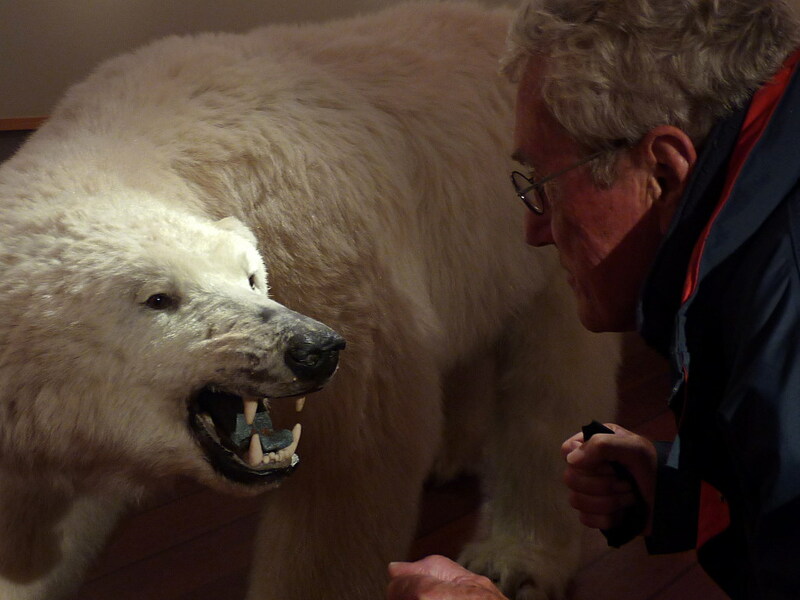 Joop and Pieter were hoping to see the northern lights, but so far we hadn’t been very lucky. It was either cloudy, or there was no activity. 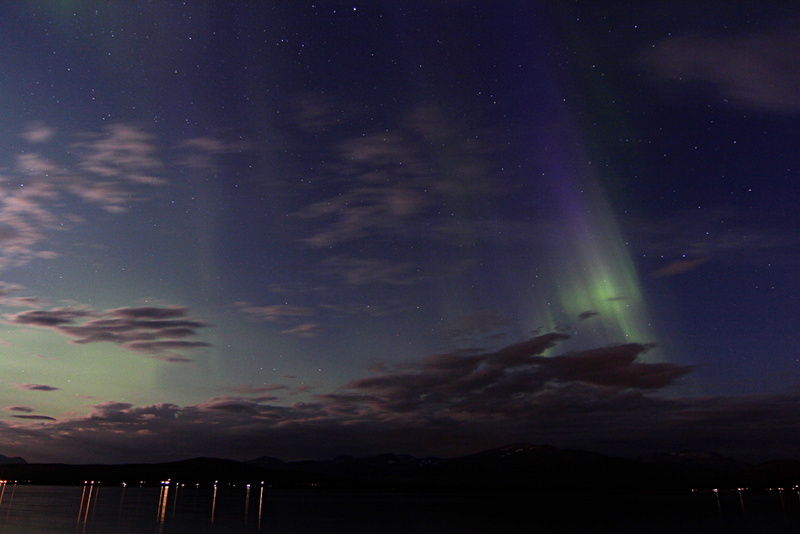 On Friday night though, all the forecasts were showing enormous activity, there was a geomagnetic storm going on! 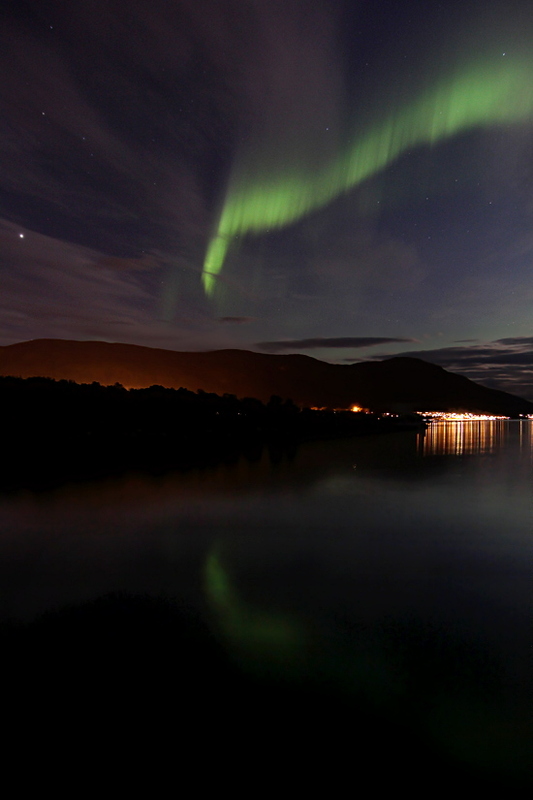 AND apart from some high clouds, it was clear! 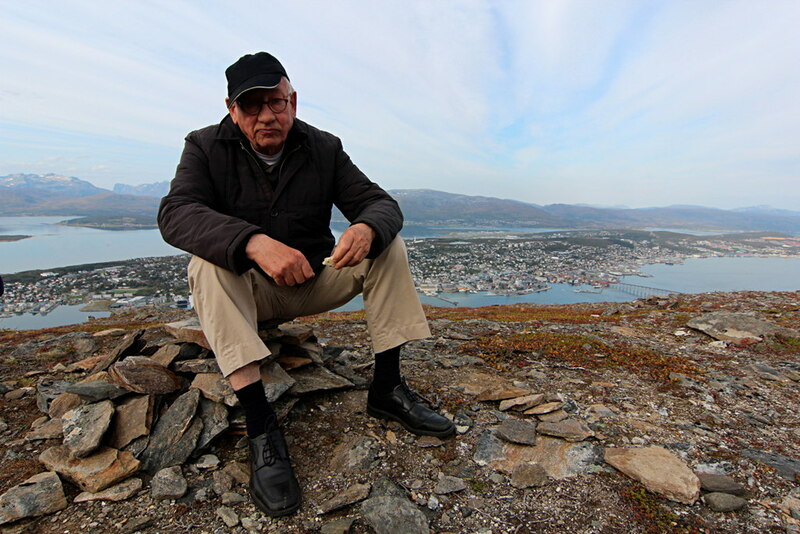 We soon decided to head to the jetty at Telegrafbukta and hope for the best. Thanks to the quick communication through Facebook, Eelke and Roy were there too 🙂 And not much later, my colleague Nick arrived. The more, the merrier – especially when you have to wait! 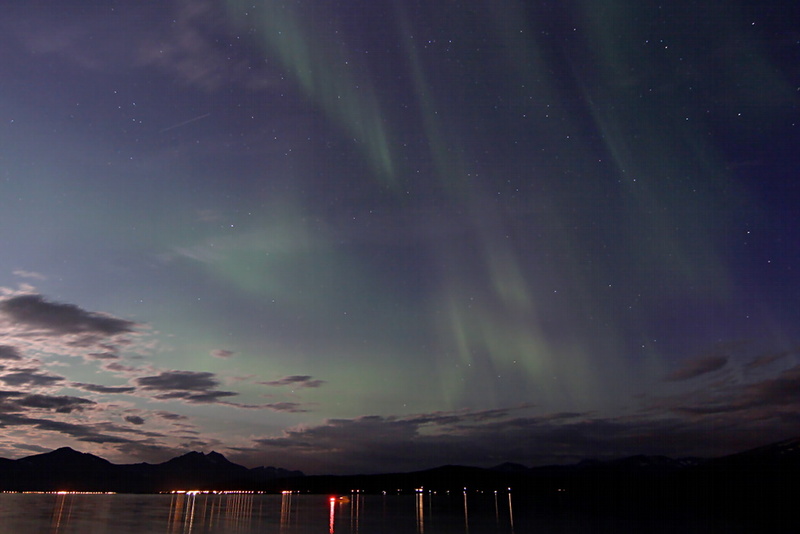 It took a while, but finally our patience was rewarded… slowly a few green beams were appearing, and after a while it got more active. At times we didn’t know where to look, and we were spinning around in order not to miss anything. It was even active right overhead! 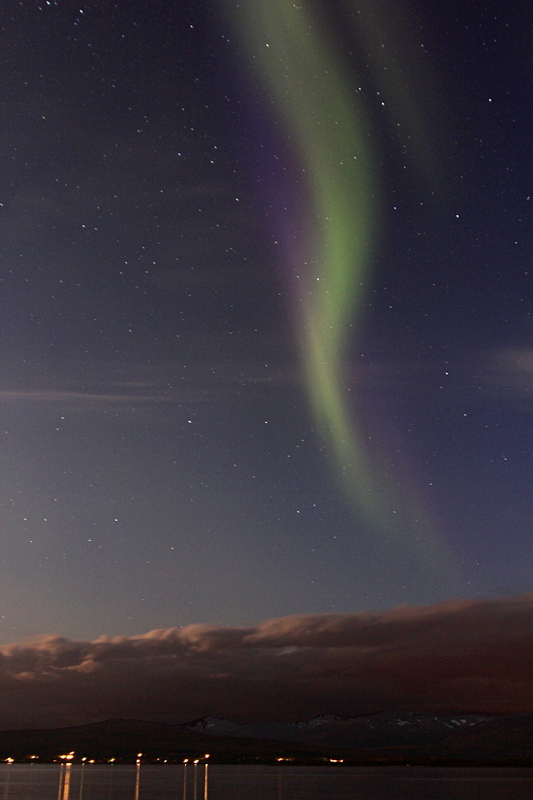 Sometimes all we could see was one beam near the horizon, but the activity would always come back. We were watching for about 1.5 hours! 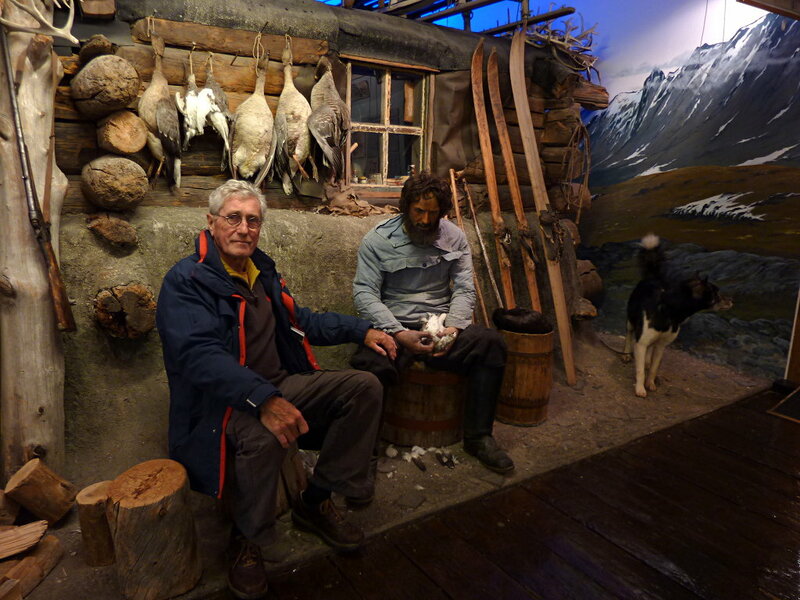 After midnight, the activity started decreasing, and it was also time for Joop and Pieter to go to the Hurtigruten for their journey south. 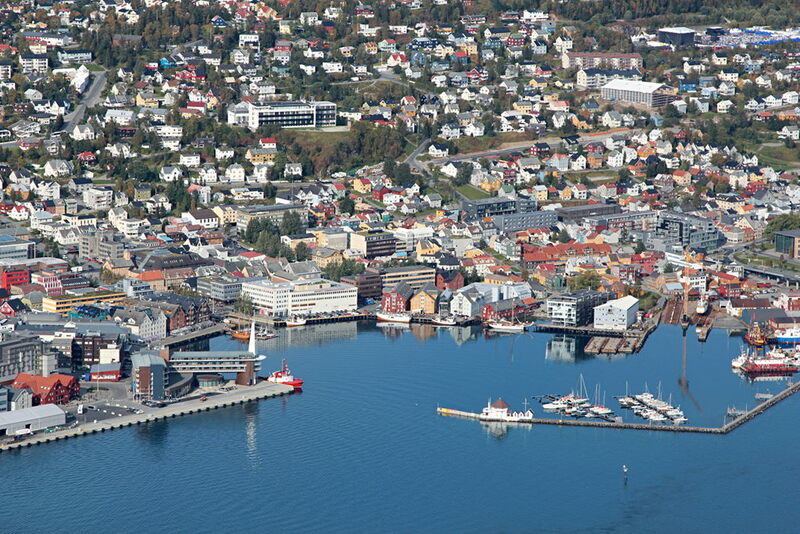 Luckily, we had already put their luggage in the car, so we could drive straight from Telegrafbukta to the city centre. 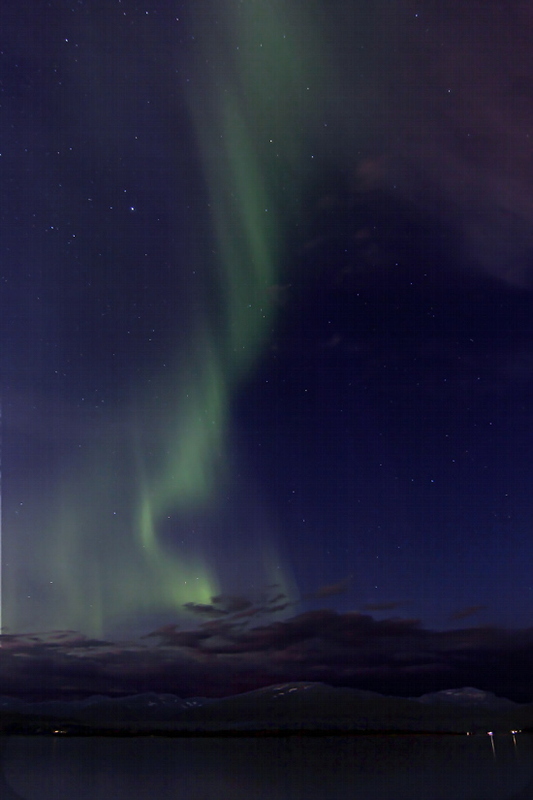 I was so happy that they were able to see the northern lights – and not just a little bit, they got an amazing show! For more northern light photos of that evening: click here for Eelke & Roy’s photos, and here for Nick’s. So beautiful! Thank you SO MUCH for sharing, as always. 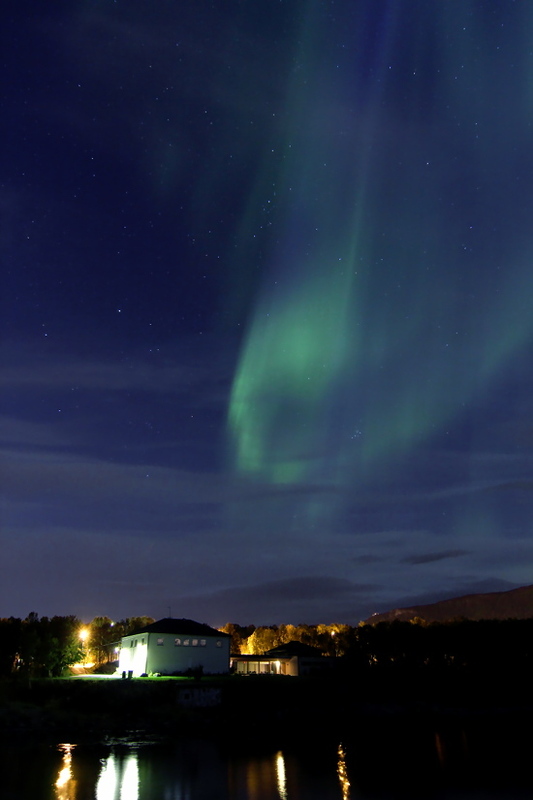 We have been living in Oslo for a year, and my wife is desperate to see the Northern Lights. Hopefully when we come up to see them, they will be there something like this! Thanks Jaymo! 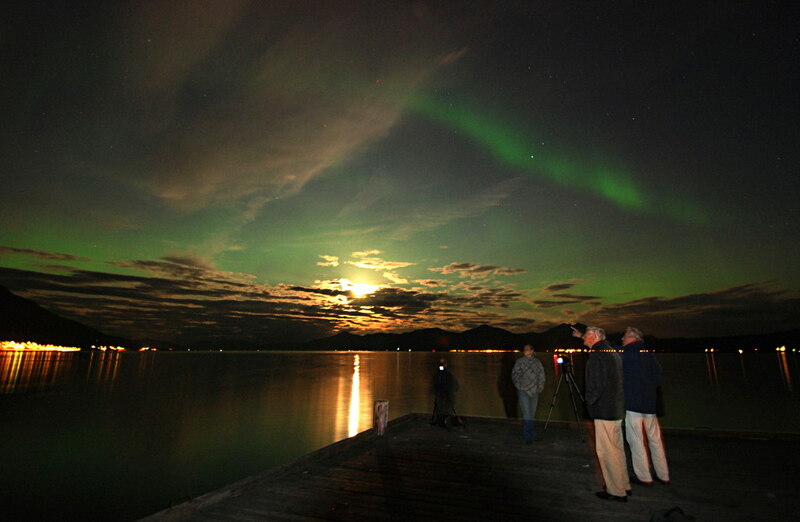 We are heading towards a maximum in northern lights in 2012-2013 so your chances are very good! If you would like some advice about planning a trip up here, just email me 🙂 Btw, you might even be lucky enough to see them in Oslo, they do sometimes make it that far south! See http://www.storm.no/nordlys/ for more information and a forecast.